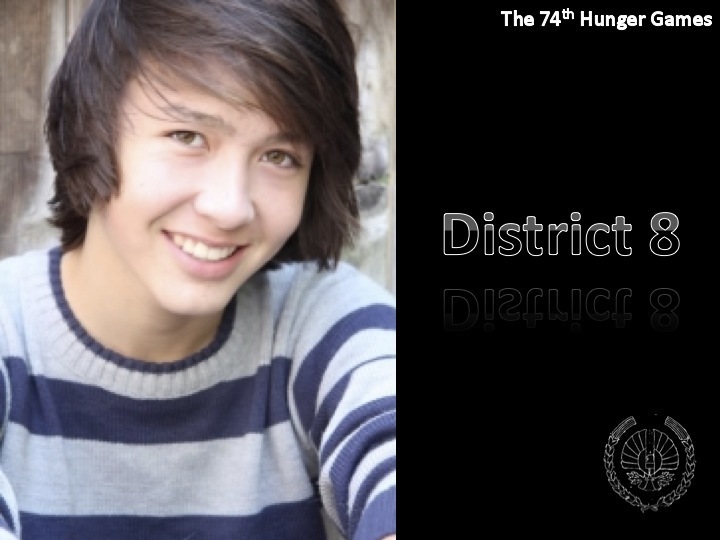 District 8 Tribute Boy. . HD Wallpaper and background images in the The Hunger Games Movie club tagged: the hunger games district 8 tribute boy samuel tan. This The Hunger Games Movie fan art contains 기호, 포스터, 텍스트, 칠판, 사인, and 서명. There might also be 초상화, 얼굴, 근접 촬영, 얼굴 만, 세로, and 헤드샷.